The national children’s education charity’s annual Toy & Book Appeal aims to gather 36,000 new toys and 23,500 new books to deliver to disadvantaged families across the country by 20 December. 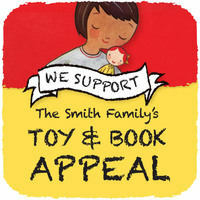 This Christmas, we will be donating 10% of sales from our ever-popular Xmas Lilies to The Smith Family Toy and Book Appeal. 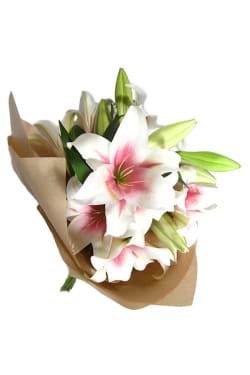 Our Xmas Lilies have a lovely fragrance and will open up beautifully to decorate the house this Christmas or to spread some Christmas cheer! The Smith Family has a long and proud association with Christmas since it was founded in 1922 when five businessmen delivered gifts to orphans on Christmas Eve. While today the charity’s focus is on helping disadvantaged children to thrive at school, giving toys and books at Christmas is a nod to its heritage. In December, hundreds of volunteers will deliver the donated toys and books to more than 5,500 families who receive educational support from The Smith Family throughout the year.